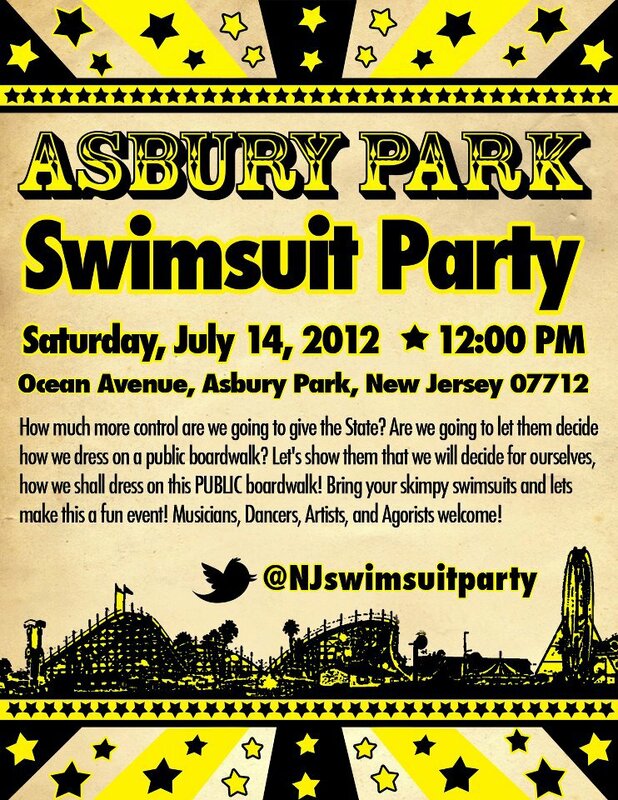 Asbury Boardwalk Civil Disobedience Swimsuit Party! | DAVE CAHILL | Singer, Songwriter, Producer, Dissident. Asbury Park without bathing suit clad boardwalk beachgoers is like The Stone Pony without Bruce. How much more control are we going to give the State? Are we going to let them decide how we dress on a public boardwalk? Let’s show them that we will decide for ourselves, how we will dress on this public boardwalk! Bring your skimpy swimsuits and lets make this a fun event! Musicians, Dancers, Artists, and Agorists welcome! A number of activists in the Liberty Community will be speaking at the event. So come join us for some fun in the sun on Asbury Park Boardwalk! Bring your skimpy swimsuits and lets make this a fun event! Musicians, Dancers, Artists, and Agorists welcome! Notes: Asbury Boardwalk Civil Disobedience Swimsuit Party! NextDay after bathing suit ban repealed, man arrested for wearing a bathing suit.